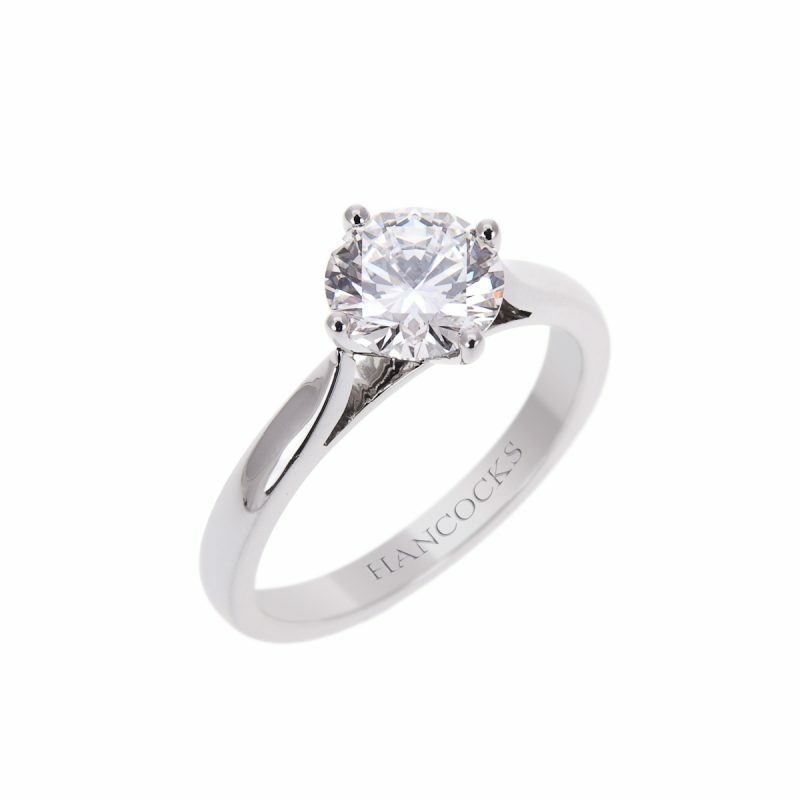 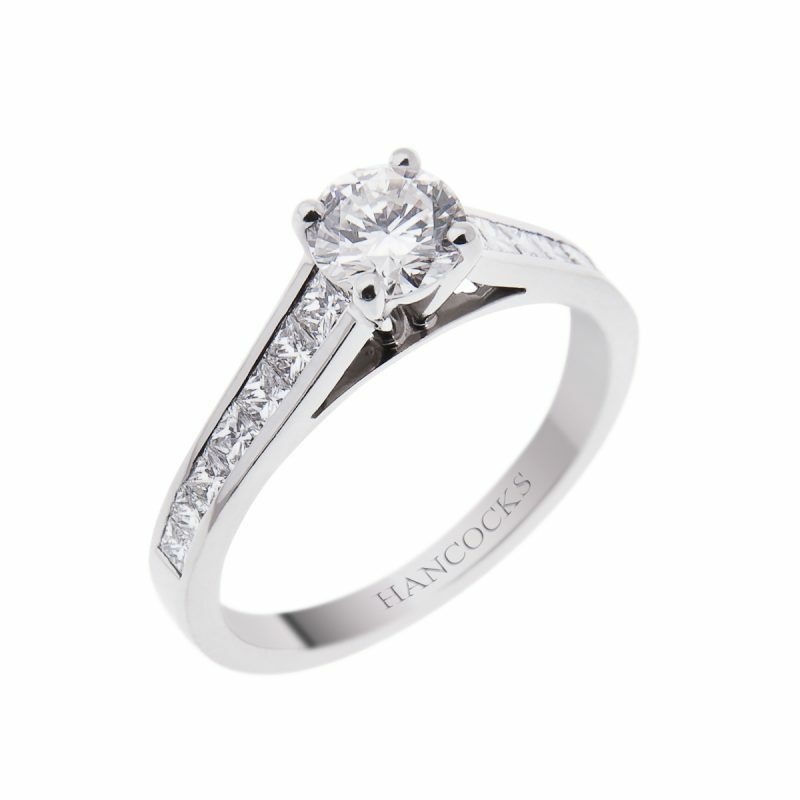 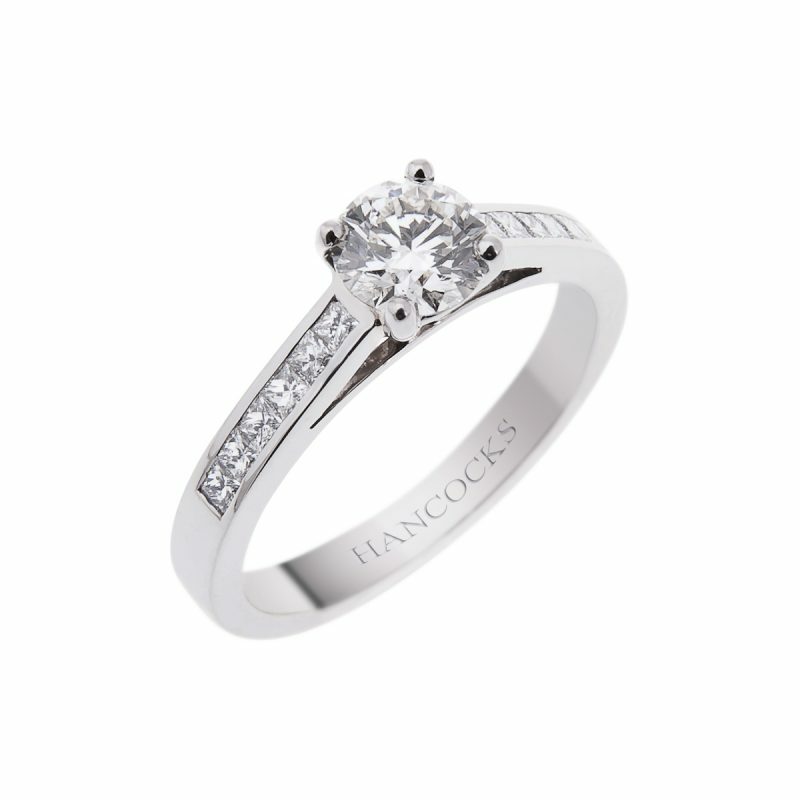 Find stunning simplicity with this certificated D colour 0.90ct brilliant cut diamond ring, mounted in platinum 4-claw setting with channel set princess cut diamond shoulders, totalling 0.51ct. 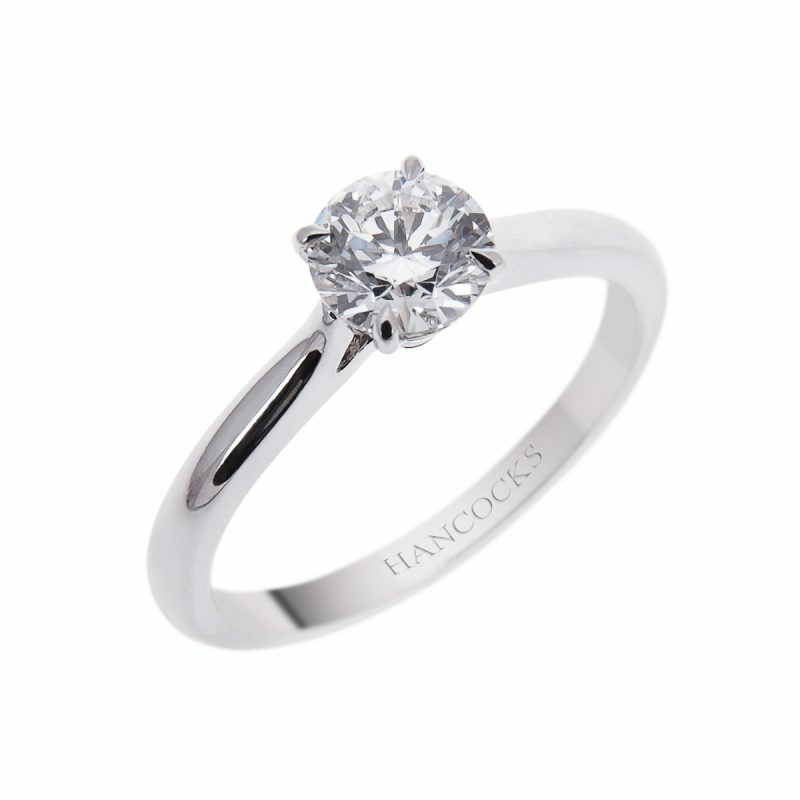 The crisp sparkle of the central diamond, perfectly contrasted by the natural fire and brilliance of the accompanying diamonds. 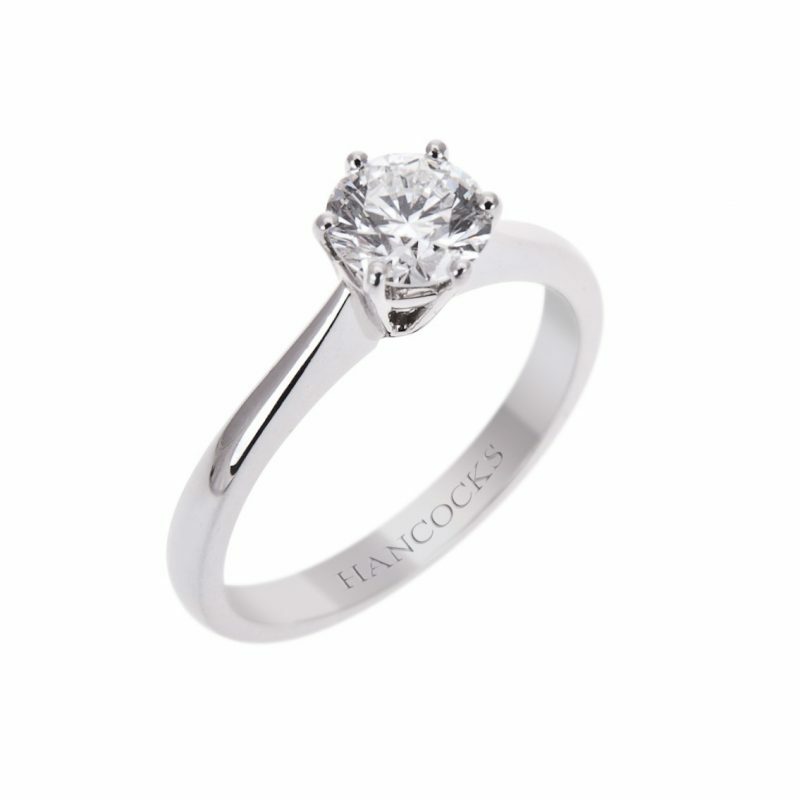 The ideal way to treat yourself or your loved one.